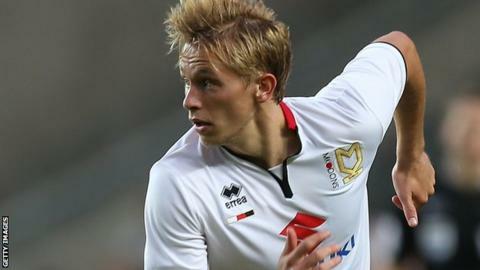 League Two side Dagenham & Redbridge have signed MK Dons defender Harry Hickford on a one-month loan deal. The 19-year-old, who is yet to make his first-team debut for the Dons, had a short stint at non-league side Torquay earlier this season. The centre-back joined the Championship club's youth academy at the age of 10 and signed a new two-year deal at Stadium MK last summer. He becomes Dagenham's third signing of the January transfer window.